Afrin is a district as well as a city in northern Syria. As a district (mantiqah) of Syria, it is part of the Aleppo Governorate. The total population of the district as of 2005 was recorded at 172,095 people, of whom 36,562 lived in the town of Afrin itself. Azaz is a city in northwestern Syria, roughly 20 miles north-northwest of Aleppo. 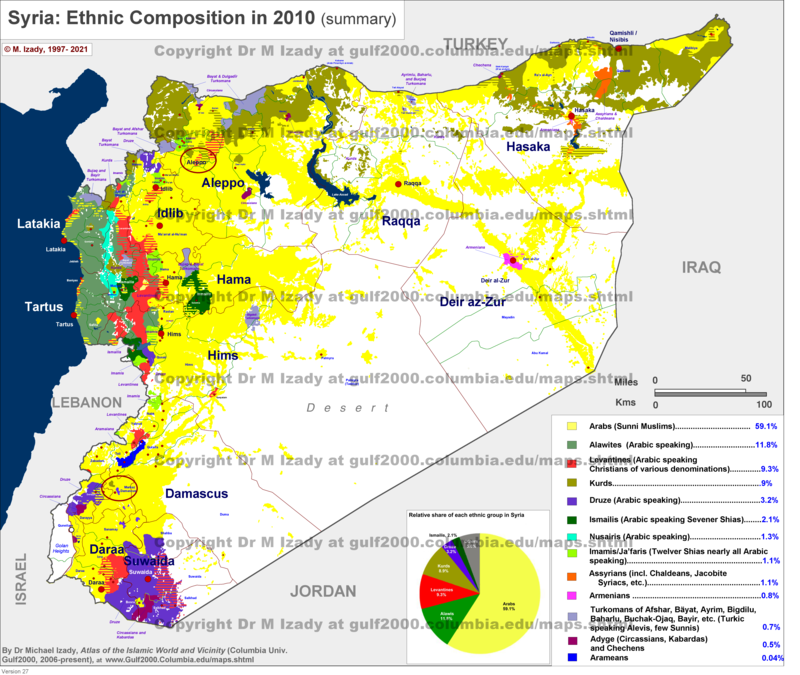 According to the Syria Central Bureau of Statistics (CBS), Azaz had a population of 31,623 in the 2004 census. As of 2015, its inhabitants were almost entirely Sunni Muslims, mostly Arabs but also Kurds and Turkmen. Afrin Region is the westernmost of the three regions of the de facto autonomous Autonomous Administration of North and East Syria, most commonly known as Rojava. The Levant Front is a Syrian rebel group based around Aleppo involved in the Syrian Civil War. It was formed in December 2014. The Army of Revolutionaries, or Jaysh al-Thuwar, is a multi-ethnic armed Syrian rebel coalition that is allied with the primarily Kurdish People's Protection Units (YPG) and participating in the Syrian Civil War as part of the Syrian Democratic Forces (SDF). 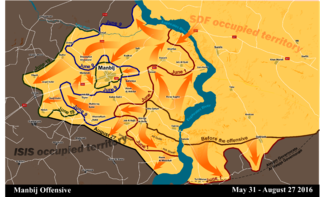 The Manbij offensive, code-named Operation Martyr and Commander Faysal Abu Layla by the SDF, was a 2016 military offensive operation by the Syrian Democratic Forces (SDF) to capture the city of Manbij from the Islamic State of Iraq and the Levant (ISIL), and eventually, the ISIL-held areas through Al-Bab to Herbel, in the area referred to as the "Manbij Pocket" in the northern Aleppo Governorate. The main goal of the offensive was to cut off ISIL's last supply routes from Turkey, and to prevent ISIL fighters from escaping across the border. During the first 5 days of the offensive, the US-led coalition conducted over 55 airstrikes in support of the SDF. After capturing Manbij city on 12 August, the SDF announced that the offensive would continue until the whole countryside around Manbij was captured, though the offensive effectively ended shortly after Turkish-backed forces started Operation Euphrates Shield. The Shahba Canton is part of Aleppo Governorate, unilaterally declared part of Democratic Federation of Northern Syria (DFNS). The canton was established to administer the areas captured by the Syrian Democratic Forces from the Islamic State of Iraq and the Levant in the Aleppo Governorate west of the Euphrates, as part of the DFNS's Afrin Region. Operation Euphrates Shield was a cross-border operation by the Turkish military and Turkey-aligned Syrian opposition groups in the Syrian Civil War which led to the Turkish occupation of northern Syria. Operations were carried out in the region between the Euphrates river to the east and the rebel-held area around Azaz to the west. The Turkish military and Turkey-aligned Syrian rebel groups, some of which used the Free Syrian Army label, fought against forces of the Islamic State of Iraq and the Levant (ISIL) as well as against the Syrian Democratic Forces (SDF) from 24 August 2016. On 29 March 2017, the Turkish military officially announced that Operation Euphrates Shield was "successfully completed". The Hamza Division is a Syrian rebel group affiliated with the Free Syrian Army, and trained and equipped by the United States and Turkey as part of the Syrian Train and Equip Program in northwestern Syria. In 2016, the Syrian Democratic Forces (SDF) established four separate military councils in order to facilitate and conduct military operations. As of December 2016, the four military councils are the Manbij Military Council, the al-Bab Military Council, the Jarabulus Military Council, and the Deir ez-Zor Military Council. The Turkish-backed Free Syrian Army, partially reorganized as the Syrian National Army by Turkey since 30 May 2017, is an armed Syrian opposition structure mainly composed of Syrian Arab and Syrian Turkmen rebels operating in northern Syria, mostly being a part of Operation Euphrates Shield or groups active in the area that are allied to the groups participating in the operation. 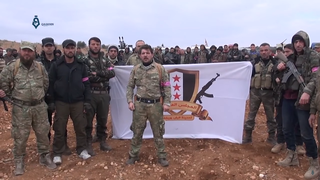 The Northern Democratic Brigade is a Free Syrian Army unit, led by Alexander Khalil, that is closely allied to the Syrian Kurdish YPG and YPJ in Afrin Canton since 2014. It also joined the Syrian Democratic Forces (SDF) in November 2015. The initial members of the group originated from Jabal Zawiya in Idlib, and it has recruited Arabs from Idlib, Aleppo, and other cities in northern Syria since allying with the YPG. 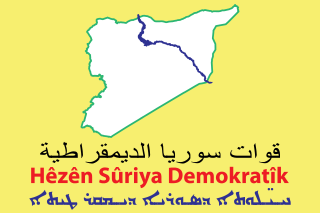 Afrin Canton was one of the cantons of the de facto autonomous Democratic Federation of Northern Syria (DFNS). Syria's Afrin District fell under the control of the People's Protection Units (YPG) around 2012 and an "Afrin Canton" was declared in 2014. Afrin Canton in its latest form was established in 2017, however, as part of the reorganisation of the DFNS' subdivisions. With Afrin as its administrative centre, the canton was part of the larger Afrin Region. As a result of the Turkish-led Operation Olive Branch in early 2018, Afrin Canton became part of the Turkish occupation of northern Syria. Operation Olive Branch is an ongoing cross-border operation carried by the Turkish Armed Forces and allied Syrian Arab and Turkmen militias on the majority-Kurdish Afrin District of northwest Syria. The air war and use of major artillery ended as Arab and Turkmen militias entered the city of Afrin on 18 March 2018, and the insurgency phase began.